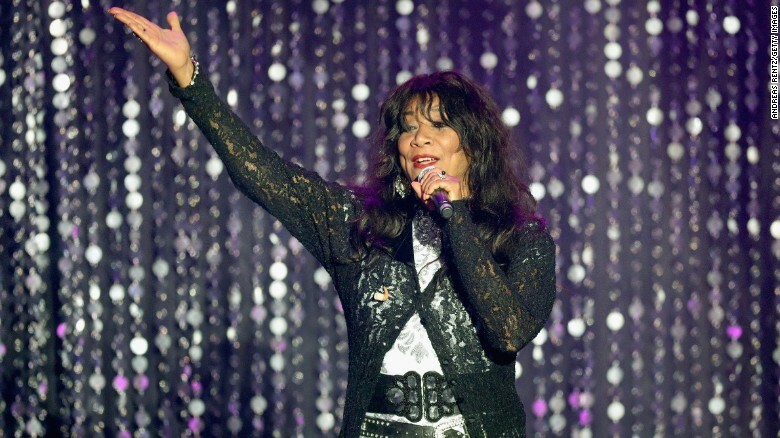 Joni Sledge - One of the founding members of the R & B group Sister Sledge whose hit song "We Are Family" went to #2 in the music charts in 1979, was found dead in her Phoenix, Arizona home today. Morbid perhaps... however, I find myself grateful for the awareness about some of the people that had meaning to me in my life...as well as the fact that I have learned about some of the others too. Hiya Blake, yes true, no disrespect intended! I don't find this thread morbid (and I have lost a couple of friends recently) but I can thoroughly recommend the obituaries in The Economistfor well-written, often fascinating, views of the lives of those who have passed. Also passing away this month, former Williams driver Patrick Neve. He was 67. Latin Jazz flute player and Grammy winner Dave Valentin passed away from complications related to stroke he had suffered through the years and Parkinsons disease. He was also a tour member with music idol the late Tito Puentes. And director of Puentes' Golden Latin-Jazz All-Stars. Bernie Wrightston who co-created DC Comic character "The Swamp Thing" along with Len Wein. Wrightston succumbs to brain cancer. James Earle "Jimmy" Breslin: Newspaper columnist and a best-selling author. He was 88. Recurring character actor Lawrence Montaigne who was only known for his roles as a Romulan and a Vulcan in the original Star Trek series. Montaigne was 86. The music world mourns following the passing of the legendary Chuck Berry. The Rock 'n Roll pioneer passed away this past Saturday due to natural causes. The Chicago Bulls organization are in mourning following the loss for legendary General Manager Jerry Krause who became the architect of the '90s dynasty that brought 6 NBA titles and the 1st 70-win (Right before the Golden State accomplished the impossible). JERRY: YOU DESERVE TO BE IN THE HALL OF FAME!!!!!!!!!!!!!!!!!!!!!!!!!! Former Gong Show host Chuck Barris from natural causes. He was 87. Veteran director Robert Day who directed a Peter Sellers film "Two-Way Stretch" and 5 Tarzan movies. He was 94. Peter Gunn TV actress Lola Albright who was known as the night club singer who is often stood-up by Peter Gunn. Lola was 92. Former reality star Vince Jones who starred in the reality series "Big Rig Bounty Hunters" has passed away from a heart attack this past March 22. His heart attack was related due to a condition called sleep apnea. A disorder where breathing stops an starts. Sources say that Jones was not on his oxygen mask when it occurred. Jones wife and 14-year old son heard Vince struggling for air. CPR was unsuccessful. Last edited by Placid on Tue Mar 28, 2017 1:31 pm, edited 1 time in total. An accident has claimed the life of Jan Ross. 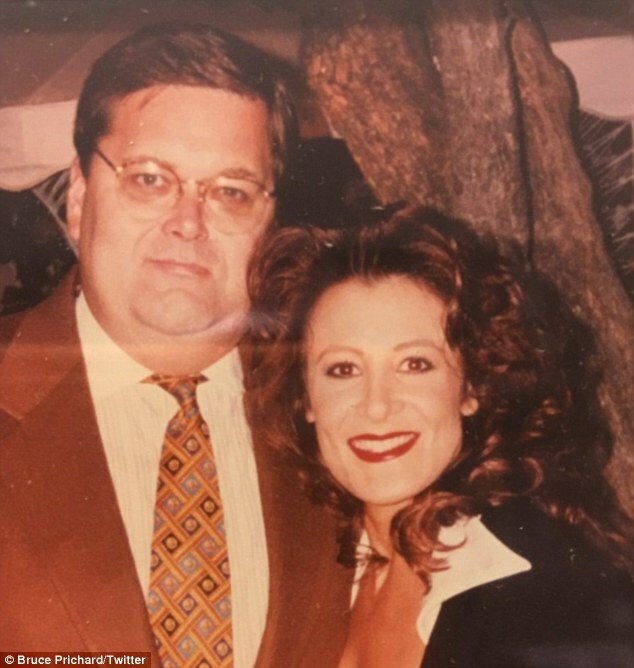 The wife of legendary wrestling commentator Jim Ross. Sources say that Jan was not wearing a helmet while riding her Vespa motorcycle as she got hit from behind this past Monday night. She was in the hospital in critical condition before Jim learned that she passed away late last night due to multiple skull fractures. Pete Hamilton, winner of the 1970 Daytona 500 and the 2 Talladega races, has passed away at 74. Hamilton had a short span on his career. Pete was a miracle driver when he won with Richard Petty Enterprises at Daytona following a crash in 1969. He would retire due to his injury, but came for a few races before retiring completely from the sport. Influential former Manager and GM Dallas Green has passed away. Green, who despite having clashes with players in the 1980 MLB season, brought a World Series title. He then became General Manager for the Chicago Cubs from 1982 through 1987. A span that gave the Cubs the NL East pennant in 1984. He then went back to the dugout in 1989 to manage the Yankees. Only to return 4 years later to manage the Mets from '93 through '96. In 2011, Green became a spokesperson and advocate for gun control following the shooting of 6 people in Tucson, Arizona that wounded US representative Gabrielle Cliffords. Of the 6 that were shot, Green's grand-daughter Christina Taylor-Green was a casualty. No matter how hard-nose they are, they always have a softer side. And no grand-parent should outlive a grand-child. NHL great Gary Doak who won his Stanley Cup in 1970 with the Boston Bruins. He was 71 after losing his battle with cancer. Austrian-born actress Christine Kaufmann who became a Golden Globe winner at the age of 16 for the film "Town Without Pity", succumbs to leukemia in her home in Munich, Germany. She was married to Tony Curtis during the '60s. While not acting Kaufmann was also a writer for health and beauty and an entrepreneur business woman selling her line of cosmetics. More passings this past March. Actress Darlene Cates well known for her role as a housebound mom in "What's Eating Gilbert Grape". Was found in her sleep. She was 69. Civil rights activist and journalist Roger Wilkins who also served in President Lyndon B. Johnson's administration as the head of Community Relations Service and was an editor for the New York Times and Washington post. He also earned a Pulitzer in 1972. Wilkins was 85. Ahmed Kathrada. Former anti-apartheid activist and pupil to Nelson Mandela who was at the same time his cellmate, has passed away due to complications of brain surgery. 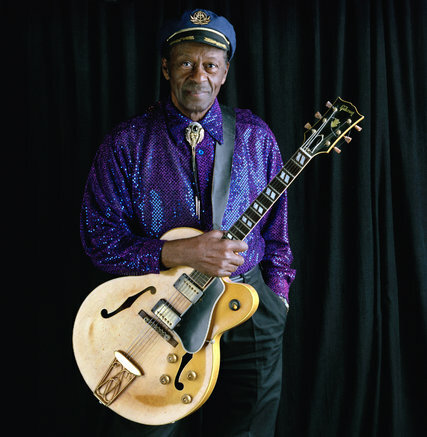 Lee Baker Jr. who later became Lonnie Brooks a great symbol of Chicago Blues music has passed on at the age of 83 this past Saturday night. Don Rickles - 1 of the iconic comedians who was well known for his abrasive insults, has passed away due to kidney failure. It is a legacy that would not be equaled. Right after the Navy, Rickes began his quest to be an actor. But instead, he performed on stages. And most of his lines were related to his life trying to get into the show business. And then his big break came from Frank Sinatra. His adventure began in Las Vegas. Then made guest appearances in such show such as Gilligan's Island, Get Smart, I Dream Of Jeannie,and "The Munsters" right before his big screen debut "Run Silent, Run Deep". Then during the '60s he also starred in the beach films that featured Frankie Avalon and Annette Funicello. He began his 1st '70 film "Hogan's Heroes" that featured an all-star cast. during the '70s he went into the TV screen before doing stand up from the late '70 thru the early '90s and was a frequent guest in the late night shows. He then return to the big screen in the 1st computer-animated film "Toy Story" as the voice of Mr. Potato Head. Derrick Jensen - a cornerback who played with the Oakland-LA Raiders and was part of the 1980 and 1983 Super Bowl teams and was a long time Seahawk scout, has died due to complications of Amyotrophic Lateral Sclerosis (ALS). Jensen was 60. Another gridiron coaching great has left us. Former Texas Tech head coach Spike Dykes has passed away from a heart attack this morning. The school's all-time winningest coach was 79. John Warren Geils Jr. who formed his own rock group The J. Geils Band was found dead at his residence this past April 12. He was 71. Also passing away is Dorothy Mengering. The mother of David Letterman who became the late night parent. She was 95. MTV alum and former reality star Clay Adler commits suicide after shooting himself during an outing with friends. Adler was 27. Linda Hopkins: Blues and Gospel singer and stage actress and part-time big screen actress has passed this past Monday. The 1972 Tony-Award winner was 92. German Cinematographer Michael Bellhaus who was credited while working with Martin Scorsece has passed from a short illness. Founding member of Jamiroquai and keyboard player Toby Smith (Right) has passed due to an unknown illness. He was 46. The NFL and Steeler nation are mourning the loss of owner and chairman of the Pittsburgh Steelers Dan Rooney who has passed away just today. Robert "Bob" Wootton. A long time guitarist for Johnny Cash for 30 years and was part of Metallica and Smashing Pumpkins, has passed at the age of 75. Wootton's beginnings started when he started to mimic the skills of the late Cash's guitarist Luther Perkins. Wootton got his break as a walk-on when some of Cash's band members were held due to travel delays. He then went on to be a travel mate for 30 years. He also became a brother-in-law when he married Anita Carter, June Carter Cash's sister. They were later divorced. Emma Morano - the world's oldest person has passed on at the age of 117. She was born on November 28, 1899 and believe the last person to be born in the 19th century. Clifton James - Veteran actor well known as Sheriff JW Pepper in the 2 James Bond films "Live and Let Die" and "The Man With The Golden Gun" has passed surrounded with his family after his bout with diabetes. The actor was also a decorated WW II veteran who fought in the South Pacific that earned him a Silver Star, Bronze Star and 2 Purple Hearts. Other credits include Cool Hand Luke, Superman II, The Untouchables movie, Eight Men Out, The Bonfire of the Vanities among other films. Bruce Langhorne - A most influential guitarist who shared the stage wingers such as Joan Baez, Gordon Lightfoot, and Buffy Saint-Marie has passed away from kidney failure. Langhorne will be well known for collaborating with Bob Dylan on Dylan's hit album "Bring It All Back Home" in which included his self-inspiring song "Mr Tamborine Man". Langhorne - a former Violinist - switched to guitar after losing 3 fingers on his right hand after lighting a homemade rocket. He also collaborated with Peter, Paul and Mary, Tom Rush, Richard and Mimi Farina among others. Virtuoso and influential guitarist Allan Holdsworth unexpectedly. Holdsworth was very well known for his jazz-fusion and progressive rock. He was 70. 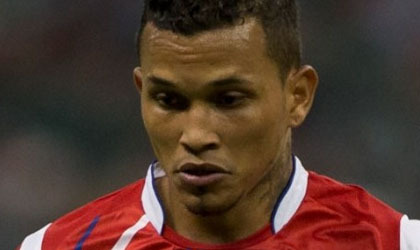 A shooting in Panama claimed the life of Panamanian soccer player Amilcar Henriquez. Henriquez was leaving his home before he and 2 other people were shot. Henriquez would later die in the hospital. Another source said that a 2nd individual has also succumbed to the shooting. 7 people are in custody (3 as minors). Another loss in the wrestling world. Matt Anoa'i aka Rosey has passed. He is also the older brother of current wrestler Roman Reigns. He was 47. Sources say that he passed due to congestive heart failure when he was diagnosed in 2014 along with atrial fibrillation. The Motown world has lost another great. Songwriter, Producer and collaborator Sylvia Moy passed this past Friday after a bout with Pneumonia. Moy was credited for his collaborations with Stevie Wonder for hit songs "My Cherie Amour" and "I was Made To Love Her". Moy, Wonder and fellow songwriter Henry Cosby were also credited for hit songs "Uptight (Everything's Allright) which react to #1 in the R&B category ( #3 overall in the Billboard ). along with "I'm Wondering" and "Shoo-Be-Doo-Be-Doo-Da-Day." Among other collaborations are with The Isley Brothers' "This Old Heart of Mine (Is Weak for You)" and Marvin Gaye and Kim Weston's "It Takes Two." She would be admitted into the Songwriters Hall Of Fame along with Henry Cosby in 2006. Former NBC producer Albert Freeman who became 1 of the most controversial figures during the "Quiz Show" scandal has passed. He was 95. 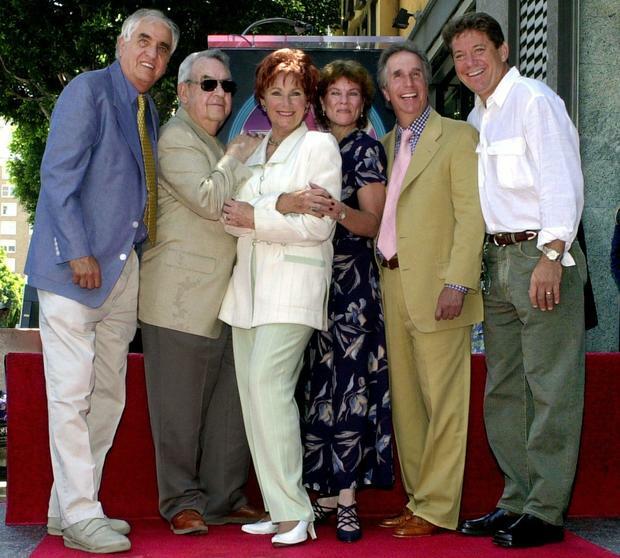 Former talent manager, agent and home designer Sandy Gallin lost his battle to multiple myeloma. He was 76. Former Premier League soccer player Ugo Ehiogu just passed away after he was hit with cardiac arrest while training with his Totterham's U-23 team. Former Hell's Kitchen contestant Paul Giganti who was found dead at his home in Philadelphia. He was 36. Tragedy has hit the Gooding household. Cuba Gooding Sr. the father of Cuba Gooding Jr. and lead singer of R & B group Main Ingredient was found dead this afternoon in Los Angeles. Police found Cuba Sr. slumped in his Jaguar. Medics attempted to resuscitate him. But he was pronounced dead at the scene. Cuba Sr. became their lead singer following the unexpected death of the original lead singer Donald McPherson in 1971. McPherson succumbed to leukemia. In 1972, the Main Ingredient hit the pop charts with the hit single "Everybody Plays a Fool" and "Happiness is Just Around the Bend". Cuba Sr. is the 3rd member of the Main Ingredient family that has passed. Tony "Panama" Sylvester - the 2nd original - passed in 2006 due to multiple mylenoma. Luther Simmons is the sole original who retired afterwards. He leave his wife Shirley who re-married twice. Other than Cuba Jr. and Omar who are actors, he also leaves a daughter April, and musician son Tommy. 2011 Giro d' Italia winner Michele Scarponi who took the title after a failed Alberto Contador drug test was killed in a traffic accident. Just 4 days after finishing 4th in the Tour Of Alps. The Astana rider was in training when he was struck by a van. Efforts to resuscitate him failed. Also passing away: Chris Bearde - Emmy-winning creator and producer for "Laugh-in" and the "Gong Show". He also wrote a special Elvis' Comeback special and also produced "The Sonny and Cher Comedy Hour" along with a summer special Andy Williams presents Ray Stevens and the Andy Williams Show. it is the 2nd loss for the Gong Show family. Former host Chuck Barris passed away last month. Oscar-winning director Jonathan Demme has passed from esophageal cancer and complications of heart disease. Demme won the Oscar for best director in 1991 for "Silence of the Lambs". He followed with "Philadelphia" that starred Tom Hanks which earned him an Oscar for Best Actor. Other awards include the International Documentary Association’s Pare Lorentz Award in 1997 for his film “Mandela,” and his documentary “Jimmy Carter Man From Plains” picked up the Fipresci Award at the Venice Film Festival in 2007. He also earned the National Board of Review’s Billy Wilder Award in 2006. He also made 2 documentaries about Haiti which was related on the country's fight for Democracy and the late Dictator Jean-Bertrand Aristide. He also did documentaries about the rock group "The Pretenders", singers Bruce Springsteen and Neil Young. Jonathan had a nephew Ted who was also a director. He died in 2002 due to a heart attack and had cocaine on his system when he was playing a pick-up game of basketball. He leaves his 2nd wife Joanne Howard and their three children: Ramona, Brooklyn and Jos. She was married to producer-director Evelyn Purcell. Former actor-turned-soldier Michael Mentenuto who played USA hockey player Jack O'Callahan in the movie "Miracle" shot himself. He crashed in the tour of gila race last sunday in New Mexico. My thoughts and prayers are with his family. the full story is on the link below. Woke up to really shocking news that Chris Cornell has died... Only 52 years old. He was one of my favourite musicians. USA Bobsled have just lost a true legend that defied the odds. Sled driver Steven Holcomb who became the greatest of all US sledders that brought a 4-man Olympic gold in 2010 in Vancouver and 2 Olympic bronze medals in both 2-man and 4-man in 2014 at Sochi, was found dead in his room at the training facility. In 2010, Holcomb led the 4-man in the last of the 2 Geoff Bodine sleds "The Night Train" in 2010 and "The Night Train 2" in 2014. Among other accomplishments include 5 World Championships. It is a sad loss for a sled icon, Ambassador of the sport, a mentor, cornerstone, and the backbone of USA Bobsled. He was also an Army veteran where he was enlisted with the Utah National Guard from 1999 thru 2006 and was part of the US Army World Class Athletic Program. He became a combat engineer with the 1457th Engineering Battalion. USA swimming are mourning the loss of a swimming legend. Adolph Kiefer - who was the oldest living swimmer and gold medalist, would die from natural causes. Kiefer became the 1st man to break the 1 minute barrier as a high school athlete. And also won the Gold medal in the 1936 Olympic Games in Berlin in the 100 backstroke. It was a record that stood for 20 years. He was inducted in the International Swimming Hall of Fame in 1965. He was also an instructor in the US Navy after learning that during the war, sailors were lost to drowning. He then was appointed to a committee to set new guidelines for safety and training. Hollywood are mourning the father of the Wilson brothers. Robert A. Wilson - father of Luke, Owen, and Andrew - and executive for PBS that brought to the US "Monty Phyton's Flying Circus" on the American screens, has lost his battle due to Alzheimer's. Famed character actor Don Gordon who also starred alongside Steve McQueen passed on. Gordon's debuted in 1959 with McQueen in the film "Wanted: Dead Or Alive". His TV screen debut was in 1960 in "The Defenders". He would later joined McQueen with roles in "Bullitt", "Papillion" and "The Towering Inferno". Other early roles include "Peyton Place", "Border Patrol", and U.S. Marshal". Tragedy on-stage as the forefather of the Jam band Colonel Bruce Hampton collapsed on stage on his concert during a finale in his honor only to die on his way to the hospital. Just 1 day after celebrating his 70th birthday. Despite not having his fame in the national limelight, Hampton's only spotlight was in a role playing a songwriting band manager opposite Billy Bob Thornton in the 1996 movie "Sling Blade". 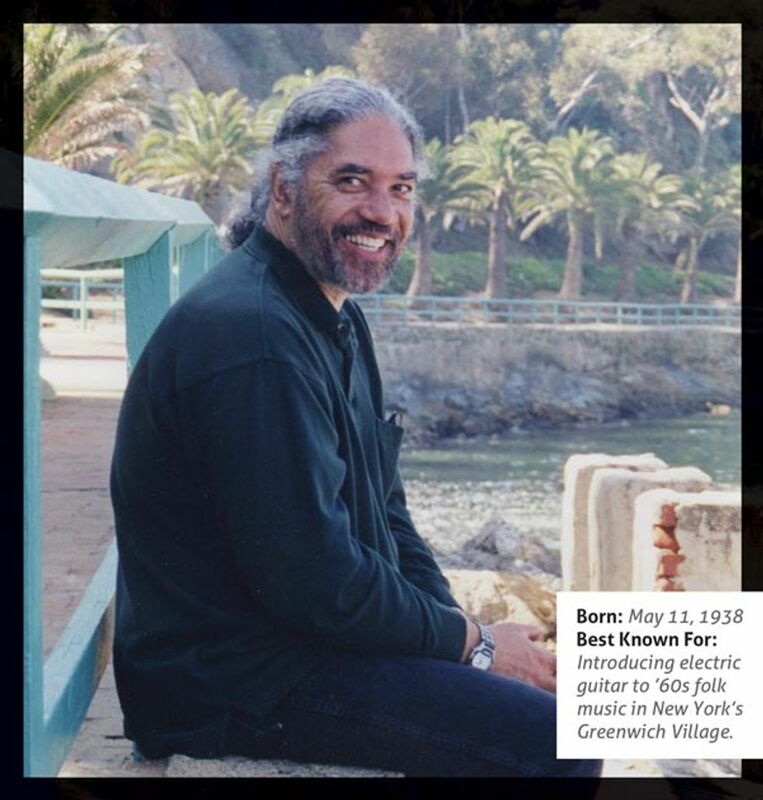 He was also the founder of jam band groups The Hampton grease Band and the Aquarium Rescue Unit. WE WILL MISS YOU BRUCE. 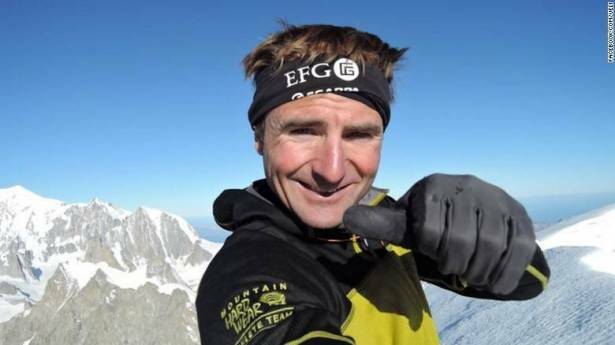 10 years ago, Ueli Steck almost had a near death experience on a solo climb. This year, his luck ran out after them man known as "The Swiss Machine" who was well known for his fast climb fell to his death at M. Nuptse in Camp 1 on April 30th. Min Bahadur Sherchan - A Nepalese nation who became the oldest climber to climb the legendary Mt. Everest at 76 in 2008, has died trying to attempt the break the 2013 record of Japanese climber Yuichiro Miura who was 80 when he broke the record becoming the oldest to reach the summit. Sources say that Sherchan may have died of cardiac arrest at a base camp. Quinn O'Hara - well known for his role in the 1966 movie "The Ghost in the Invisible Bikini" has passed on. She was 76. A sad passing within the ESPN family. Katherine Berman - Wife of former ESPN personality Chris Berman - was killed in a car accident in Woodbury,Connecticut just yesterday. The 2nd vehicle - an SUV - driven by an 87-year-old was also killed on the scene. Mary Tsoni - Greek actress for her role in the Oscar-nominated film "Dogtooth" was found dead at her Athens apartment. Veteran actor and singer Michael Parks. His multiple credits include The "Kill Bill" saga, from Dusk 'till Dawn, Django Unchained, Argo, Death Wish V: The Face of Death, and The Return of Josey Wales. TV appearances would include guest appearances in Alfred Hitchcock Presents and the Alfred Hitchcock Hour, Perry Mason, Gunsmoke, Channing, The Equalizer, Twin Peaks and Walker: Texas Ranger. Former Browns (Which later became the Baltimore Ravens in 1996) Wide Receiver Michael Dwayne Jackson who later became Mayor in his hometown in Tangipahoa, Louisiana from 2009 to 2012 was killed in motorcycle accident this past Friday. The former holdover form the original Cleveland team spent 8 seasons for both the Browns and Ravens from 1991 thru 1998 would die in the scene when he crashed into a car's drivers side that also resulted the death of the 20-year-old female driver. Our thoughts go to both the Browns and Ravens organizations and to his family. As much we love or hate umpires, the world of Baseball will mourn 1 of their own. Former MLB Umpire and Umpire supervisor Steve Palermo who was briefly paralyzed in 1991 after stopping a robbery only to get to walk again, has passed away. According to former Royals IF George Brett, Palermo had cancer. Robert Cucina - who was well known as Robert Miles has succumbed to stage 4 metastatic cancer, at his Spain residence in Ibiza. The Disc Jockey was well known for the album "Dreamland" where it included his #1 song "Children". Veteran actor Powers Boothe who was well known for his supporting roles such as Deadwood, The Hatfields and McCoys, The 24 TV series, Both Sin City novels and just recently "The Agents Of S.H.I.E.L.D." was found dead in his sleep. Other roles also included "Nixon", "Extreme Prejudice", "The Emerald Forest", "Stalingrad", "Rapid Fire" w/ the late Brandon Lee, Tombstone alongside Kurt Russell, Val Kilmer, Sam Elliott, Michael Biehn, and the late Bill Paxton, Men of Honor, Sudden Death w/ Jean-Claude Van Damme, The Avengers, and the unforgettable role as a downed Air Force Col in the famed all-star cast in the 1984 flick "Red Dawn". TV roles included "The Guyana Tragedy: The Story of Jim Jones", Philip Marlowe - Private Eye, and The Family of Spies based on the story of the traitor John Walker Jr.